‘Going to the dentist’ has now become a phrase we use to describe visiting the dentistry clinic. While most are aware of what a dentist does for us, not as many people know about the other professionals involved in the clinical team. Dental hygienists are one of these members, and actually, it’s more than likely that likely you’ve come into contact with a hygienist more frequently than a dentist. But what exactly is a hygienist – and more importantly, what do they do? We’re answering all your questions in today’s blog. Dentists help patients to improve and maintain the oral health of their patients. They are often the leaders in a clinical team and must oversee the work of the rest of the team to ensure high standards are being maintained. Some dentists may even work in research, consultancy for other companies or teaching. Dental hygienists are oral professionals who work closely with dentists as a part of the clinical team. The main responsibility of a dental hygienist is to focus on preventing and treating oral disease without cutting or removing teeth. Dental hygienists play an imperative role in maintaining the oral health of their patients. Their responsibilities are centred around preventing future gum diseases and tooth decay. 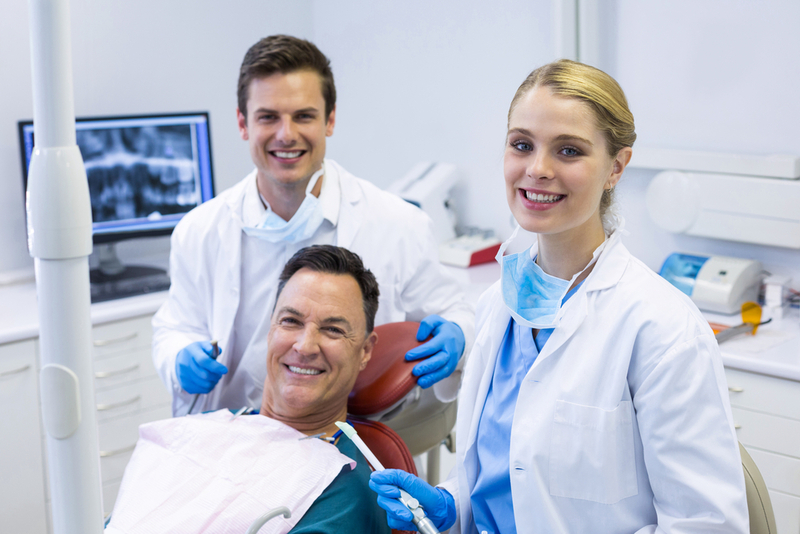 Alternatively, dentists perform more intensive and intricate procedures in order to fix pre-existing dental issues. Therefore, you’re likely to see a dentist only when you need such work done (i.e. less frequently). In a clinical team, the dentist and dental hygienist will work together on a patient as needed. It is the dentist’s role to diagnose the patient and to recommend the relevant treatments for this diagnosis. The dentist will then go on to perform the restorative or removal treatment. This will typically involve administering local anaesthetics, referring the patient to specialist dentists or prescribing medications. The dental hygienist follows the instructions given by the dentist. They will generally handle the cleaning of the teeth, as well as the application of preventative agents like sealants. Either the dental hygienist or the dentist will then educate the patient on proper dental care for when they’re at home. As a team, they work to fix pre-existing issues with your teeth and prevent future ones from occurring. Which one should I see? Depending on your current oral health, you could be booked in to see either a dentist or a dental hygienist. Typically, if you don’t have pre-existing problems with your teeth and you have been visiting the dentist as often as recommended (typically every six months) then you’ll most likely be seeing a dental hygienist. This is because you won’t need any deep reconstructive or restorative work; you’ll only need preventative advice and treatments to avoid tooth decay in the future. If you’re looking for a dental hygienist or a dentist in Berwick, Eden Rise Dental is the clinic for you. We pride ourselves in supporting our local community and we’re passionate about educating our patients about their dental health. Our friendly staff will be happy to schedule an appointment for you – simply call (03) 9702 6111.